"When shall I be as the swallow?" The lighthouse on hourglass sand, near the great drop-off bridge, was marooned. The marsh grasses were waist-high, green and rustling as you please. Off a hiker's trail, an animal yellow black and brown spider, its body half again the size of a man's palm, sat perniciously in its sleepy web. But the carbuncular lighthouse was now 500 yards from the sea, twice that from the sound. An artist's rendering of old proved it to be on twisted rocks; however, this did not abrogate its separation from the Atlantic. The delineation of marshlands and creeping dunes off and on the sound and seaside was all the fact necessary. No lonely artist or poet could force the lighthouse back to its original pre-eminence on the primordial sea. One could purchase a ticket to tour the building, then walk around its girth with the only suitable irritation to a tourist being perhaps muddy shoes. It probably never occurred to most that the lighthouse was forever marooned. I went to the Outer Banks as a teenager; when I visited it again today, Friday, ten years later, I was amazed and partially delighted to discover this building a paradigm for my soul. No beacon shone to warn imperiled ships, just a painted tower to be photographed, walked in and out of - this forgotten with a meal of seafood, domestic wine, and a mild case of sunburn. Thus, I copied over in my mind's eye the artist's print, and revised it to show the watery land and the building singular, without purpose. I am an actress you see and can improvise and improve upon a text. Rather like a Kean cutting and adding lines to a Shakespearean drama. Ah the poor lighthouse! My white and black striped Psyche, a zebra in a zoo or a crosswalk in Britain. Again I record that first trip to North Carolina, where my mother's people are from, though they live inland, in Piedmont. Nevertheless, Nag's Head was where we gathered periodically (happily) for family reunions. Cousins bleached, uncles and aunts who were nearer backwoods than my mother would care to admit to, already the males suffered from chewing tobacco-stained teeth and gums, burned limbs from the beach sun, speech patterns looped endlessly by anthropologists (like my father), preserving, adhering to stubbornly, refusing to let go the old ways of progenitors, now and again petrified in white pine boxes. The women small, scarcely alive. My cousin Elma and I broke from the others that late August day to run to the lighthouse from the keeper's cottage. Her brother Holis was a pace behind. He kept shouting, "Look, look!" Elma and I spotted the lightbeam blinking on and off in the bright, windy afternoon. The light signal swung and swept in huge circles, not to ships in the scorning tides of North Carolina, but for the enjoyment of a group of men, clustered to the right side of the tower, to the grasses. They gestured and guffawed amongst themselves. My attention volleyed back and forth between what I took to be 'old salts' and the signal it carried to them. I didn't hear her sigh, didn't notice her clap her arms across her chest in supplication to the overwhelming signal. She spoke my name softly, "Miriam." Her manner was endearing to me and I turned to her, there was the slightest smile imprinted upon her lips. Yet I apprehended Elma was pinned to the spot, her eyes wide, watching the light swing steadily towards her. Suddenly, her eyes sunk, then bulged, then rolled back. Froth bubbled from her mouth, her frame a statue which, moments later, succumbed to the gravity of grass, pulling her to her already scraped knees. Elma pitched forward, her body mad with seizure. Holis grabbed me as I tried to control her. "Leave her be," he said soothingly in my ear. After it was over, I overheard my uncle speaking to my mother. "Forgot to take her medicine, what's near as I can reckon. She hates it, so's it like it's on purpose." My mother nodded her head in some kind of condolence. When we drove over the bridge out to the rented cottage, the lighthouse seemed to be out at sea. The epileptic fit of my cousin was the starting point: frenetic, backwashes of spurned memories, next the tower itself: static, holy in congested, grassy water. I photographed it (and the spider) before coming back to cousin Holis's beach house below Duck. Lent me his place while he's visiting his parents in Raleigh. Elma, luckily, married a physician. She has all the barbiturates she can take. She escaped the mountain mentality. And I escaped here. To the riptide beachhead, sea birds and swallows picking clean the sand of bluefish bones, cast off by the pure fisherman, their sand beating to my door. I stand in front of the mirror, naked. I am the lighthouse, stupid with sun, my pale descended body white about my breasts and loins, then reddish brown elsewhere, freckles I never suspected I had peep out from between my legs and shoulder blades as I rotate to inspect strap lines. Wish for lightning to strike us both. How melodramatic of me! The heat continues to roll up under the screen door in staves. Up the road a woman ricochets between her new Audi and the public pay phone. We seem to be between something. I shall go to the lighthouse again, for recognition tomorrow. In the meantime, I'll nap before dinner. Friday evening. Went to the pub at the end of the pier, about a quarter mile jaunt from the Holis house. Two Australian brothers own and operate it. Flirted outrageously with both, let them ply me Tanqueray and tonics; wandered out into the constellationed evening. Thought of Pierce, or rather, remembered Pierce. I had successfully obliterated him for 24 hours. Pierce, he evidenced himself before Mother dropped me off here. So Stephen carried me round to Club Crossroads the night before I left (we danced all night), then boyish Pierce shows up. (Recollect sour talk with Stephen, figurines, and the stars.) What should I call him? Reader of my heart, friend, something else? Then Stephen dragged me off. Still, what to do? Pierce stares at his shoes, at his chewed fingers, stares into me. Stumbles, milks my truth. Restless - could it be the wind, the alcohol, the thought of his being infatuated with someone else, maybe my completeness? We are dipped in streams of bloody stars in Berlin. Saturday, a.m. I haven't done any real swimming since graduating from William and Mary. Actually, I hated it; but there's a gradation to the levels of mystery with ocean swimming, especially in the infamous riptides here. I'm addicted to the danger - heightened senses, like making love in forbidden places, public pay phones, out where that woman was yesterday. (Who was she? The real story now!) Nevertheless, I swam out until I could barely see the caps of the sun umbrellas. Swam back hard; tried to coast in on the surf; instead fought hard not to drown. Flopped on the beach, sweated out the toxins. Took Holis's car to the lighthouse. I wonder if a lighthouse can be termed 'dead.' It is don't you know, for all practical purposes, except as the aforementioned tourist trap. I felt as though I should strike a lotus position while I was there: pray for its resurrection, reincarnation, something holy. Maybe it should come back as me. I stole the compass from the glove compartment of Holis's car (I was poking around in his personal possessions because I'm nosy) and photographed the tower at the E/W/N/S points; ostensibly to prove a point - it's the same from all the angles, a deceased inequitable symbol, stranded. Am I making too much of this? Here the swallow reels in the forever spilling Carolina air, circumvents the heart, my heart, up in sunlight, thrown down to me, staircases up into the blue, climbing on the backs of swallows. If only Pierce was here: LePrince d'Virginia a la tour abolie. A prisoner of ravenous words and maidens in tall towers. Too bad my hair's not long enough to fully accommodate him. He's a constant reminder of the portrait of Galahad by George Frederick Watts: the Chivalric ideals of quest, truth, honor and love; but also of the face and figure - inquisitive while relaxed, almost feminine in repose, flashing in greenery, all shiny amour and comely countenance in the woods. His immolate self inchoate. Saturday, p.m. (I look out from the screened-in front porch. I balance in the after-dark, the ocean, between thumb and forefinger; I run for the swelling of contention, the vigil I mostly maintain against the encroaching love and confinement. The swallow renders my aspiration visible and decorous.) Tomorrow I go to town to fetch the photographs when my Mother comes to (rescue) collect me. The waves cap, cradle the ocean bed and I recollect a time Pierce maintained also a blessed vigil outside a play, sucking out my dramatic incantations: furiously glaring at me from the one-sided audience, scratching the skills of my flare, lightly tonguing the froth of my performance. In the audience intent, determined; I could sense him chewing his fingers violently, hear his tacked-together existence snapping. I on the stage, faced the cold spectators, ready to deliver my soliloquy with my prop: an orange. I was nervous for him (not myself) (only in the twilight sketched by him), the burning yellow grey of his eyes fixed to my lines. I'm not sure at all how it happened: I spoke my lines. Then someone commented to me at the cast party how clever it was of me to handle the fruit. I tossed it hand to hand, rolled it across my breast-bone. Or did I? The riddle of non-completion, of not knowing for certain if one has done (thought about, extrapolated, actuated) what is attributed to one. (Good psychotherapy needed; but too much work. Stick to acting out one's frustrations and get paid for it.) I didn't even recall handling the orange; later I smelled it on my palms. It was, as I wrote, the inchoateness of Pierce, his cold hands tucked underneath his armpits, or not apprehending what the appendages were for that I burn with, here. My Mother suggested this holiday to remind me of her happy past, if indeed it was or seemed happy to her or us both. What am I saying? Of course it was. I am grateful to her example, the parties, and the openings, how she accepted my friends, the way she dotes on Stephen, is in awe of Pierce. "A trip to the seaside is exactly what you require, Miriam," she said, after my horrendous argument with Pierce. (Why I continue to think of him is unfathomable.) She caught me in my old rooms at home, crying like a child whose kitten has been run over. It was stupid; however, she came, she saw, she conquered. When she dropped me off, it was as if she divined in her own invincible manner that I would recover, regroup. Why then do I stare at a Martello Tower? I, nova, shine on after my usefulness is blown apart by rebellious quarks; it is a simplistic representation of a queasy time past in my life, coming here right after my unthinkable affair. The lighthouse oriented towards me and mine. Take the upper hand and focal point: a perfect resignation to all events. I am the vortex, the lighthouse marooned in an ocean of whipping grass! I'm allowed such theatrical excess. 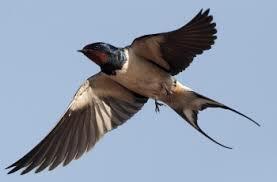 But when shall I be as the swallow? Nearing midnight, all this, save the twilight waves, corrupts me. The sound of the sea blots out my defeat. Or is it my stigmata? Circling birds arrest my mind, if but momentarily. Sanity assumes varying shapes, this glass of vodka, for instance. And the darkness dissolves me. It always does. When I desert my apartment for an evening, darkness patches the holes in my clothes as I dance, play the coquette, the femme fatale, together. If only it were turned about. I escape permanently, instead of nightly on the stage or in a bar or in the lines of a book. In those venues I am an adventurer: riding to hounds, hunting tigers, pouring over the present, past and future philosophies. My day-job is silly, selling clothes, not timeless classics, the latest-soon-to-be-oh-so-last-season-frock and pants; then I discovered the same thing in my mother's closet, everything old is new again but with a different ad to go with it. Giving the customers my best Miriam smile and soft sell. I peddle fantasy to people too indolent to conjure it for themselves. Now I know why I rarely take holidays. It depresses me for I begin reckoning with the senselessness of my life and end up physically and mentally emetic. What was it my brother Mercury used to say when I became unbearably morbid? "Just go ahead and croak on us, Miriam. Do us all a favor." Strolled up to the pier one last time to the pub owned by the brothers. Only Rupert was there, chatting up the customers while a dark-haired woman tended bar; a tall, muscular woman, the same I had spied using the pay phone and driving the expensive car. Obviously, I didn't realize you could make that kind of money tending bar. Silly me. She barely spoke, nodding mostly, performing her tasks rhythmically, assuredly, took ribbing from Rupert, continued without either joy or despair, the will of the tides at her back, perhaps far away, perhaps swimming in the strong currents or hauling blue-fin in a boat after burning and bloodying her hand from the fight. Perhaps she thought of nothing at all, except leaving, like me. I wanted to ask her of that notion. Do you want to run? Ordering directly from her got me nowhere. She was impervious to my charm, almost saddened by it, I believe. So I played my next game: I ignored her. She didn't notice. I thought amazedly to myself, have I lost my touch? No, it cannot be. I don't remember if I had two or three Long Island Iced Teas but I walked back to the beach house under my own locomotion, albeit inebriated and hopeless. Night, and the water were warm, covered up my shoulders as I swam in a valentine, giving sea. Suspended, pedaled my feet, waved my arms, the tincture of salt upon my lips, motions of sea creatures passed me and I was too drunk to be out there. The salt buoyed me; I shall never sink. I floated in the currents like the swallow. Sunday, a.m. I scribble this waiting for my mother to pick me up on her way back from Charlotte - she's late, as usual. Most of the time, I don't mind; today however it is desperately hot, already nearly ninety degrees and I just want to go home, even to work, where it's cool and dark. Holis's air-conditioner smoked, shut-off early this morning. Where is she? Where the hell am I? The swimmer was possessed of Atlantic-sense - the sense of gesturing ebbs and riptide itches. Stroking in, her hands flattened, paddle-like as she swam abreast of a fishing boat's wake until it dissolved. Save the glittering foam in the pre-dawn light, the ocean was midnight blue and indulgent in her exercises. As she swam, she forecast the strand with the one hundred swimmers who would line-up, toes digging in the sand, in a month's time for the competition. It was what seized her imagination, forced her to dive into the undertow and struggle against it hard; become kinetic in the after hours in the after seas when the sea replenished itself, drives the beach to the confederate grey houses. Against her strong flank, another swish of hand. She felt around in the water, clutched the woman's hair and tugged her to the surface. "Stop struggling; you'll drown us both!" Miriam flailed, hallucinated. The swimmer's arms encircled her as she yelled in her ear, "Good God, stop! I've got you." Not realizing she had still been calling out, or, for that matter, attempting to rip light from the air, Miriam relaxed, actually went limp. She allowed the swimmer to tow her in. A few feet from the shore, the swimmer rose, tall. "Can you stand? Should I go for help?" "No, no. I'm all right." They walked to the beach, Miriam's body heavy. She plopped down. The swimmer eyed her. Feeling pathetic, overdrawn in her presence, Miriam turned away from her, adjusting the straps of her bathing costume and combing her hair through with her numb fingers said, "Thank you." "Sure," she shifted from foot to foot. "Well, if you're really OK ..."
Miriam pivoted her body, leaving slash marks of legs and bottom in the sand. "Yes. Certainly. Fine. And thank you again." She looked out to sea, saying, "Stupid of me." Shivering, Miriam heard the woman walk into the water, then dive in, lost to her questions - a report of desired freedom, of a dark forbidden, of not swallowing water. She fell back on the ground, and as the tide came in, she made snow angels in the sand. I'm home, in my home. Tomorrow I work early. I left the lighthouse behind, the swallows circling around it. I told my mother what occurred. It was quiet; a lovely trip. And I thanked her. Joan McCracken's "Almost 13" appears in FlashPøint #6.